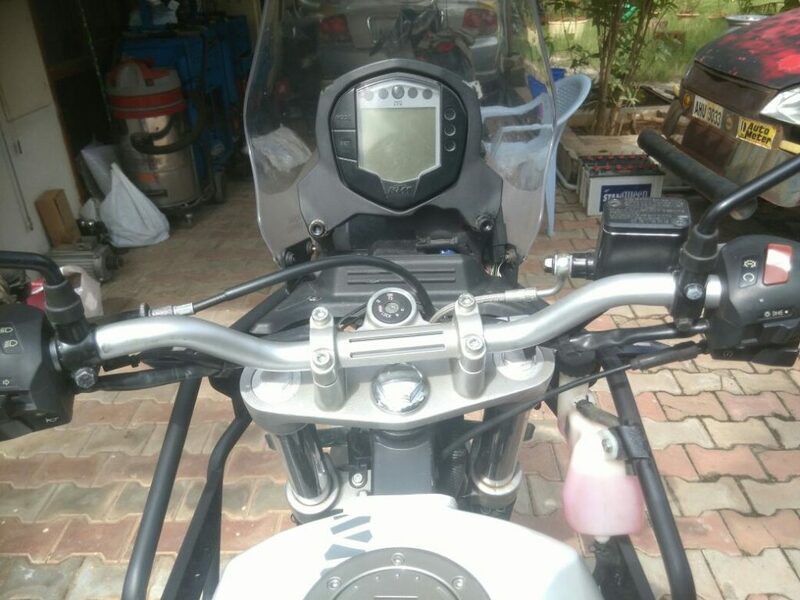 43 PS Royal Enfield Himalayan with Duke 390’s Engine: Here it is…. 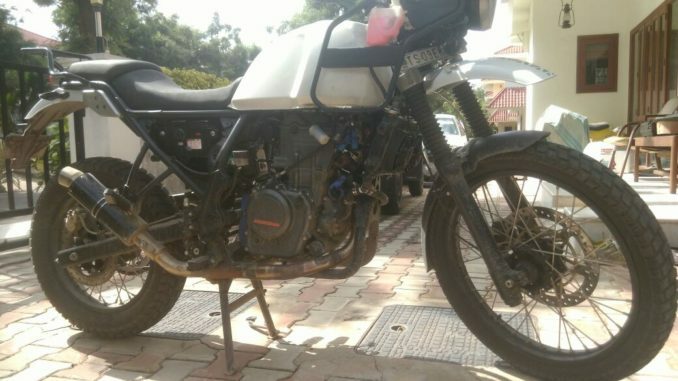 He has plonked the 43 PS KTM 390’s engine on the Royal Enfield’s adventure tourer. The origins as of now are unknown but boy, the enthusiast has definitely done a lot of hard work. Retro-fitting any kind of an engine on an altogether a different platform is not an easy task. In addition, the swap has resulted in reworking of the exhaust system as well. The transmission too has been changed from the clunky 5-speed unit to the slick 6-speed gearbox from the KTM. The switchgear, going by these images sourced from Social Media, has also been borrowed from the pocket rockets of KTM. However, no matter how attractive the whole idea seems, this must have been a really expensive deal. Also, we are uncertain how will Himalayan’s chassis behave with so much of additional power and torque. Can it withstand the adrenaline both in the short and long term? Will the brakes be capable of stopping the bike safely? Can the suspension withstand so much of stress? Yes, a lot of questions remain unanswered and no matter how well an after-market job is done, it is almost impossible to achieve factory level finesse. This is what brings us to the question of – why are manufacturers shying away from this segment? We are sure, there will be a lot of takers for entry-level reasonably powerful adventure tourers. 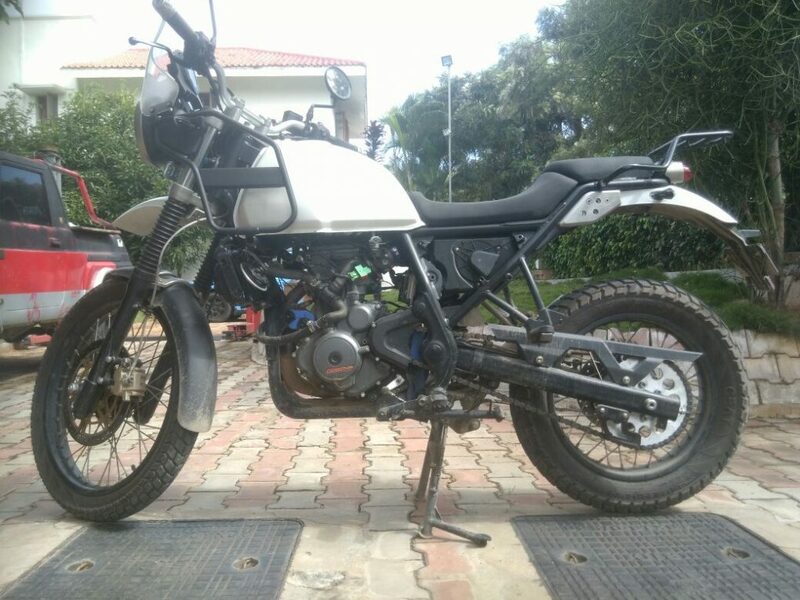 A classic example is in front of us in the form of this Dumalayan (Duke + Himalayan). KTM, do we have your attention now..?